Working it out : keep dancing! One of the big problems that occurs when anxiety or depression takes over your life is that there are every day mundane things that still need to be done. Paying bills, food shopping, even getting out of bed and getting dressed are things that need to be done, especially if you live on your own. It can be such a struggle to cope and face these simple tasks and when the over thinking kicks in the molehill quickly becomes a mountain. What if we change or challenge the mountain thinking? 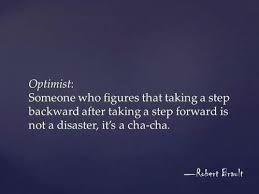 Instead of thinking about the struggle to climb and slip backwards what about using the time to cha cha? Someone sent me the quote below and it so illustrates the dance around anxiety, the backwards and forwards, the ups and downs, it is a dance! The next time I get annoyed at myself for not coping with a simple trip to the supermarket, I am going to start to “dance” in my head. 1 2 3 … 1 2 3 …. here we go!